Thematic Photography For the posting of photos that fit with a chosen weekly theme. It shows both the power of nature to destroy and the power of nature to come back and regrow. In 1997 a storm with a force we had never before experienced passed over my hometown. We lost about 10.000 (!) trees over a few hours. It was the only time I have seen it rain horizontally (because of the fierce power of the wind). When it was over and we went outside we saw very big trees totally uprooted in ours and many other streets. It made quite an impression on all of us and especially on my then 9 year old son. These images we saw on the television and usually were of storms happening in countries far away. This particular picture is of our local park where we lost thousands of trees. I have pictures of big/old trees torn down but this one gives the best impression of the bleakness and devastation the storm wreaked. It's now 12 years ago but the park is - of course - still not totally recovered. From a set I took from an airplane ride from Las Vegas back to Baltimore. Hans, your picture could be put into a different perspective with a lot of burnt trees etc and it could practically be the bushfire scenes, we had earlier this year, here in Australia. Well at least, very similiar. 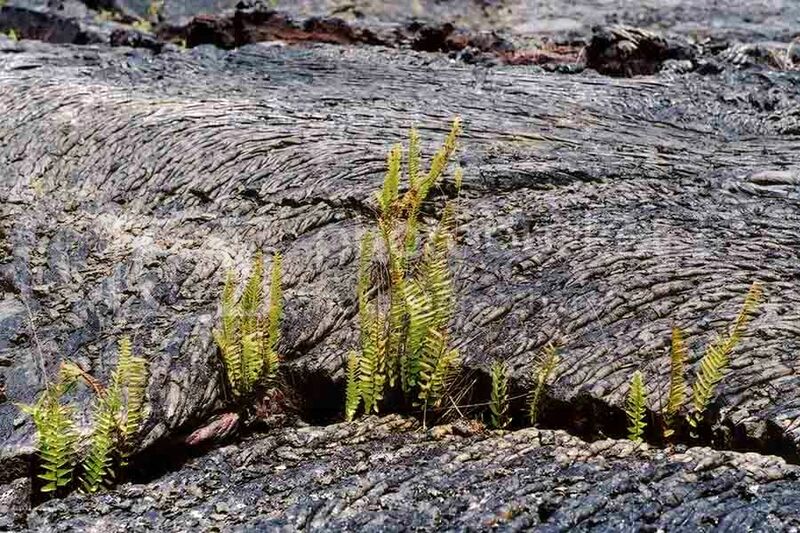 StevenB's picture would be representative of what 4 months and quite a bit of rain later, would look like with all the new regrowth in that particular area of Victoria - well without the lava but hopefully one can picture the similiarities of it all. Seasalt on Steel - nature always has the last word when it comes to man's proudest works. 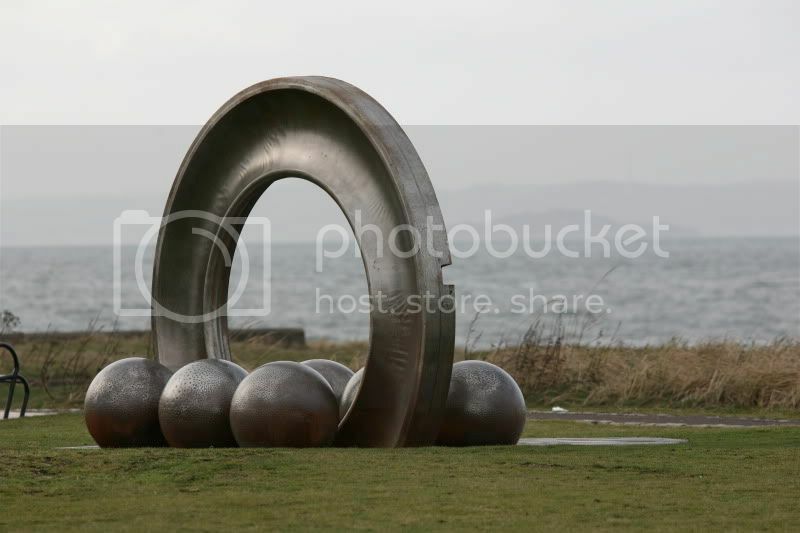 This is actually from StevenB and Lanen's neck of the woods; it's a shore 'installation' adjacent to Cockenzie power station and features a bearing assembly from the giant turbines. 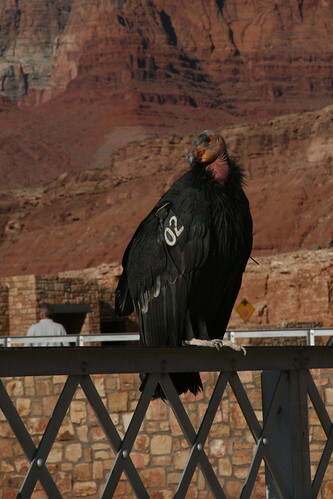 My photo for this theme. . .
. . . is a California Condor in the wild. These birds were nearly extinct 25 years ago, but through a captive and now wild breeding program, they've made an incredible comeback! Condors represent survival and the power of nature to adapt and overcome- they flew during the age of the dinosazurs, and are flying free. I know that some of you have already seen this picture if you looked at the photos that I posted from my trip to Quebec City. This was taken at St. Anne's Canyon. I'll start by introducing myself... I've never read any McCaffrey, but was pointed to the site by Cheryl, my sister-in-law. 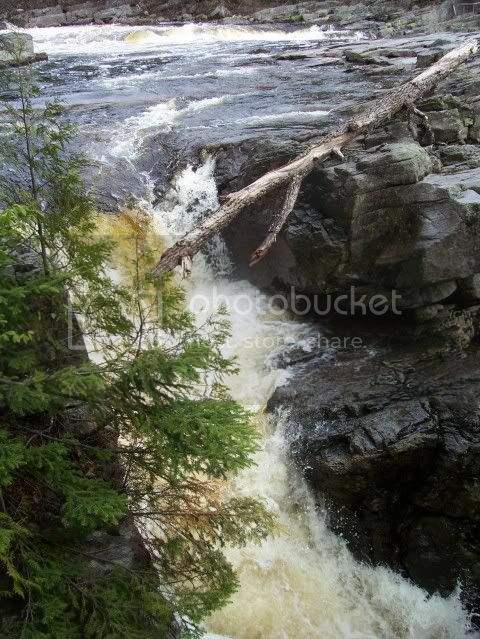 Like Cheryl, I've recently started to learn my way around a digital SLR. I took the photo below in Kenya, early morning. Could use a bit of color balancing to increase the dynamic range. That's interesting... It's actually the streams of light in the dust that I quite like about this picture. I always thought it created a menacing air to the buffalo. There was actually a sun shield on the lens, so there shouldn't have been much direct light on the lens. I really thought about this one. Storms would be obvious. This shows nature survives in the most unlikely places. Cheryl, I love that Grand Canyon picture. It shows what can happen if you leave the tap running for 7 million years. Weyrlady, Wow! You got to see one of those Californian Condors up close. Lanen and I have only ever seen them flying overhead. On our last visit to the Grand Canyon one of the rangers passed around a single Condor feather - it was huge! Karla, I really like your picture of the buffalo. The morning lighting effect makes that shot more dramatic. I look at that picture and think, "maybe it's time to start backing away now...". 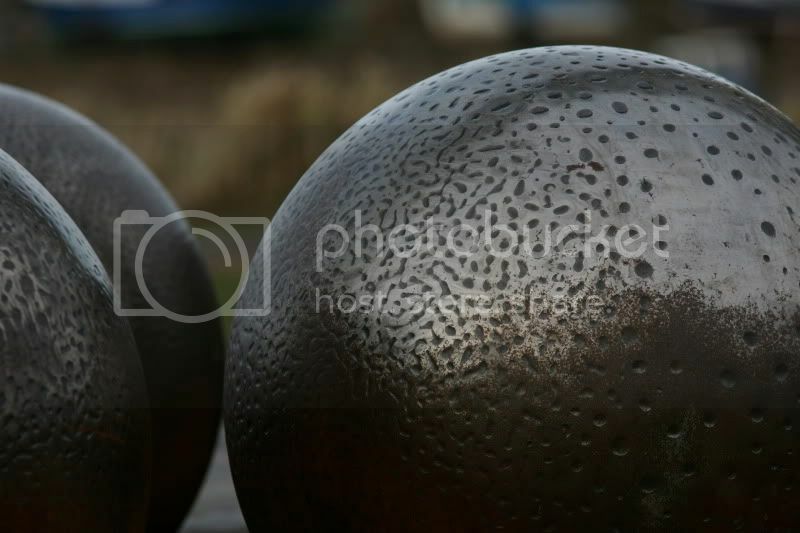 Farclas, I really like the gigantic ball bearing shot as well. I must go and take a closer look at that display. Wow, what a good range of the power of nature we have here! Steven's is probably my favorite, the most powerful example of nature: to create an island from nothing and then let life take hold and flourish there. Hans's also shows nature's raw power well, as does R2005's. Farclas, I like the subtlety of yours, and it's artistry as well. Weyrlady, the condor on it's own had me as a powerful part of nature, but your description gave me pause. To me it's a sign of the power of man over nature that we've helped the condor make a comeback (the need for which we also caused). Also the condor dates back to the Ice Age, not the time of dinosaurs; there weren't true birds back then. Karla, those definitely are some menacing water buffalo even without the slanted shafts of life. Having seen a video where a herd of them gave a pride of lions the what-for, I know that look means business, they are very powerful scary creatures! Annmarie, I nearly posted a similar picture, until I remembered the shots I got near the Grand Canyon (I don't think this is the canyon itself, it didn't look as such from the air). Nature certainly does assert it's right to grow where it chooses! Awesome photos, all! One of the things that fascinates me about nature is it's power and assertiveness-= even in the most urban of areas, it's likely to find a family of songbirds, a bush, etc. I've seen plants growing out of whAt appears to be solid rock, And it never fails to amaze me. I could have a new picture for this forum from this past Sunday. We had a heavy rainstorm with a bit of wind and lightning during dinner, and the shifting winds managed to take out two trees in the glen behind our house. One was simply snapped off a good 25 feet above the ground (a beech tree, perhaps), and it fell into a locust (like fell on my house recently) and broke off it's two trunks well above the gound too. It's impressive looking. I'm not sure yet if my photos do it justice, I haven't downloaded them. It is hard to find the right vantage point and angle to try to convey the scene properly. Locust? I had to go searching. I had an image of a simply IMMENSE insect! Let's see the pictures; I suspect 24mm will be your friend! Perhaps, but that was more a failure of nature, as the tree simply split without help of a storm.